Many of the industry’s cutting edge publications have featured articles about YesterTec’s unique products. Below are just a few examples. Residential Products Online features an article about our mini-kitchens. Real Estate Cleveland had this to say about how our Mini-kitchens can be appropriate in the Multi-Family housing market. For Residential Pros .com had this to say about our Stealth Kitchen Modules. Take a look at what the Editors of Residential Products Online wrote about one of our newest mini-kitchens. 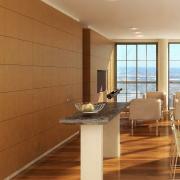 Not interested in traditional installed cabinetry? Take a look at the details of our freestanding kitchen workstations! They’re perfect for multi-task rooms and small spaces where a full kitchen is still desired. Here is an article from Hadassah Magazine that features one of our mini-kitchens as an appropriate solution for the Ultimate Passover Kitchen! Take a look at what some people are posting to their Pinterest pages! Stealth Kitchen Modules UK72 Mini-Kitchen wins Design Journal’s 2011 top award. The Platinum 2011 DJ award was given for design excellence for a custom ‘Tansu’ styled Stealth Mini-Kitchen. Stealth Kitchen Modules received the KBCulture Award 2010 Honorable Mention award (2nd place) for design excellence in the kitchen cabinetry category, an honor bestowed by one of the design industry’s most respected individuals, Leslie Calgett. Leslie has been the editor of Arts and Architecture and Womans’ Day SIP’s Kitchens and Baths magazines, and is currently the author of the exciting design blog, kbculture.blogspot.com. Be sure to spend some time with the various articles in her informative blog, you’ll be amazed at what you find! Here is the link to her post about the Awards. Design Journal has awarded their highest award, the 2010 Platinum ADEX award to our Stealth Kitchen Modules line (below left) and their 2010 Gold ADEX award to our Armoire Mini-Kitchen, (below right). 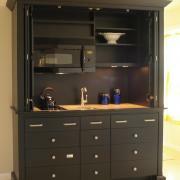 Our Midnight Black Kitchen Armoire is #68 of Qualified Remodeler’s Choice 100 Products 2008. Every year, Qualified Remodeler (QR) magazine’s editors compile the hottest products of the year. Tabulating the products that QR readers most requested on a monthly basis generates the list. 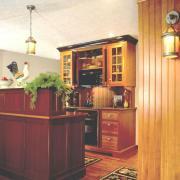 It is the second Armoire Kitchen to make the list and again it was the First kitchen product mentioned. The next kitchen product was #99, Everbrew’s under cabinet Automatic Coffee System. 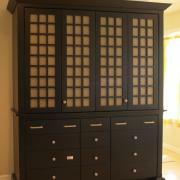 Our complete Kitchen Armoire won Honorable Mention (second place) for the cabinetry category of the Woman’s Day Specials Kitchen and Baths 2008 Awards. The Midnight Black armoire impressed the judges of the 5th Annual KB Awards 2008 competition that honored the most Imaginative Products of the year. YesterTec’s Blog is open to members of the media and all visitors to discover stories and publishable images about this great alternative kitchen design concept. The Unfitted Kitchen, Why Bother? Homes Not Selling? 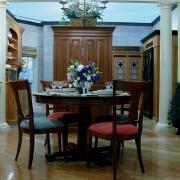 Try a Furnished Kitchen! The Kitchen Sold the House! Fall 2005… Tired of those huge stainless steel commercial-style ranges? 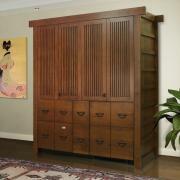 YesterTec introduces the Range Armoire, the most recent addition to our ever-expanding line. This is the only YT piece that can conceal a full-sized cooktop. 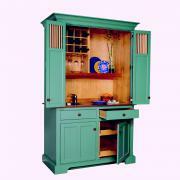 Now an entire hi-tech cooking workstation can be placed in a Period Style kitchen without compromising the ‘old’ look of the room. The top bi-fold doors conceal a huge countertop, a 4-burner cooktop and an over-the-range microwave/hood. A 30” wall oven is concealed below with its own set of flipper doors. Both sets of doors feature YesterTec’s exclusive, U.L. Listed technology that allow the appliances to operate only when the doors are open. August 2005…. YesterTec makes the Top Ten! YesterTec is #10 on Qualified Remodeler’s Choice: Top 100 Products 2005 list. Every year, Qualified Remodeler (QR) magazine’s editors compile the hottest products of the year. Tabulating the products that QR readers most requested on a monthly basis generates the list. 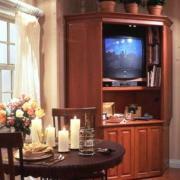 YesterTec’s Complete Kitchen Armoire was the featured item that made the top ten. Even though only the interior of the armoire was shown, and its patented, U.L. Listed safety features were not mentioned, this unique armoire was still the top Kitchen and Bath product featured. April 2004… YesterTec on TV! 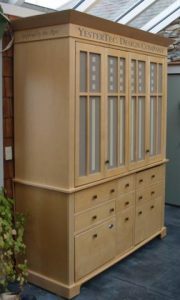 At K/BIS, YesterTec’s Kitchen Armoire, UK68B-CSR-MH was on display and was filmed by HGTV for the special Kitchens & Baths 2004. YesterTec was one of only 14 companies selected by the HGTV producers to be filmed for the special. 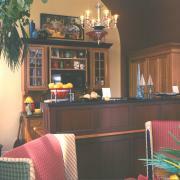 April 2004… Amazing Winner of the Cabinetry Category! Woman’s Day Specials Kitchens & Baths Magazine’s First Annual KB Awards for the Best New Products of 2004 also recognized YesterTec’s Working/Bar Pantry as the WINNER of the cabinetry category! The judges evaluated the winners for technical innovation as well as aesthetic appeal. The winners were published in the Winter 2004 edition of Woman’s Day Specials Kitchens & Baths Magazine. The award was presented at the NKBA opening night reception during the 2004 K/BIS weekend (the national Kitchen/Bath Industry Show) in Chicago. April 2004… One of the 14 Best Products of the Year! YesterTec’s Working/Bar Pantry received one of Home Magazine’s 6th Annual American Kitchen & Bath Awards for the 14 Best New Products of 2004. The editors of Home scoured the market to find the most efficient, functional and stylish products to present to their readers. All the winners were published in the April 2004 edition of Home Magazine. The award was presented at a private reception during the 2004 K/BIS weekend (the national Kitchen/Bath Industry Show) in Chicago. The Working/Bar Pantry is one of our very popular WP48 Working Pantries that has a built-in sink and a wine storage rack. April 2001 We’re Still The One! YesterTec’s Kitchen Workstation Furniture was again showcased in The Woman’s Day Special Interest Publications Exhibit in the National Kitchen and Bath Association’s Design Idea Center at K/BIS 2001 in Orlando! Our workstations were center stage at the Kitchen and Bath Industry’s largest show in a very creative exhibit! This was an encore presentation as we were featured in the same exhibit at K/BIS 99. This proves that the industry views workstation design as an enduring, versatile and cutting edge concept. This year’s exhibit featured 14 of our workstations. Our Unit Kitchen Armoire, DO40 Entertainment Center, 2 Work tables, a Refrigerator/ Pantry with flanking pantries, a three piece Sink unit ensemble and a DO40-OM concealing ovens will be showcased for the first time! The theme featured some of our units that show how standard appliances can integrate with our workstations without being concealed. Balance and proportion does the trick. A C32 series desk, dry bar and bathroom vanity completed the exhibit. We introduced one of our new colors, Washington Cherry, a rich brown tone, as well as some customized grid doors and custom stencil work that will make our flipper doors that conceal appliances look totally unique from anything that has ever been seen. We are encouraging our designers to take advantage of our metal panel and grid door designs to customize the patterns and colors for their clients. The 10 page Woman’s Day S.I.P. Kitchens and Baths article featuring the exhibit is in the Summer 2001 issue, available in August 2001. HGTV filmed our exhibit and typically includes it in their review of K/BIS every year. Mike Teipen of Kitchens by Teipen, our newest dealer in Indianapolis, just displayed a range and a sink unit at the Indianapolis Home Show. He said people were amazed not only with the appliance concealing capabilities of the YesterTec pieces, but they were quite impressed with the storage capacity and overall beauty and quality of the pieces as well! Mike is taking the YesterTec pieces from his showroom to the Indianapolis Life Insurance Company’s Fairbanks Mansion 2000 Decorator’s Show Home in Indianapolis later this Spring. There he will create an innovative full kitchen display during the Indy 500 race week. UPDATE, July, 2000: Mike’s display at the Fairbanks Mansion won the second place design award! Now you can see it in the Products section of our website! UPDATE, 2004: This same kitchen came back to Mike’s showroom where it was then purchased and moved to a Louisville, KY home. Try doing all this with cabinets! February 2000, YesterTec goes to Hollywood! That’s right, The Christopher Lowell Show featured a YesterTec Range on a segment that is entitled Design for Small Spaces. David Beer, YesterTec’s President, and Christopher explained how the furniture concept for kitchens can be used in rooms that need to be multi-functional due to lack of space. (Christopher explained it better than this, he truly is an absolute genius! At the Kitchen and Bath Industry Show, (K/BIS 1999) YesterTec workstations were chosen by Woman’s Day Special Interest Publications, one of the four magazines chosen to build mini-apartment venues in the National Kitchen and Bath Association’s Design Idea Center. The Woman’s Day design team, co-ordinated by Merv Kaufman, included Martha Kerr, CKD,CBD, and John Buscarello, ASID, who created ‘The Urban Hideaway’, a multifunctional space that featured our workstations along with some cutting edge appliances. We provided vanities for the bathroom, 6 workstations for the kitchen, a desk/entertainment center and a hospitality center/armoire located in the entry foyer! The idea was to create a multi-task, very concise living environment that included lots of hi-tech appliances, but did not look like a messy kitchen all the time. 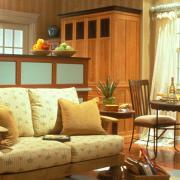 Instead, the pieces of kitchen furniture integrate into and actually enhance the size of the living room. By hiding the hi-tec ovens and other appliances from view, the workstations allow people to ‘Choose what they want to see, rather than accept what they must see’. Instead of seeing endless runs of cabinetry, exposed countertops and appliances from the living room, workstations that hide appliances allow the kitchen to integrate into the living area like never before.